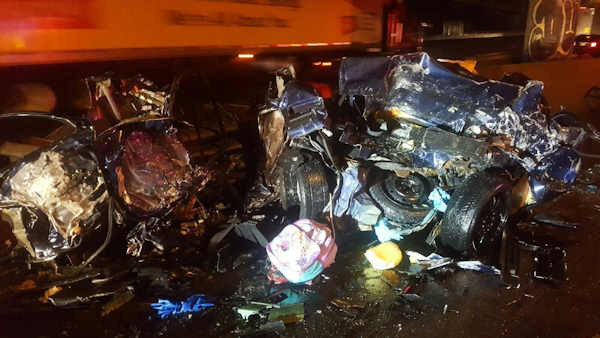 NEW YORK (WABC) -- One man was killed and two others injured when a tractor trailer struck their vehicle on the westbound Cross Bronx Expressway Monday morning and kept going. The tractor trailer driver was later stopped by Port Authority police on the New Jersey Turnpike. 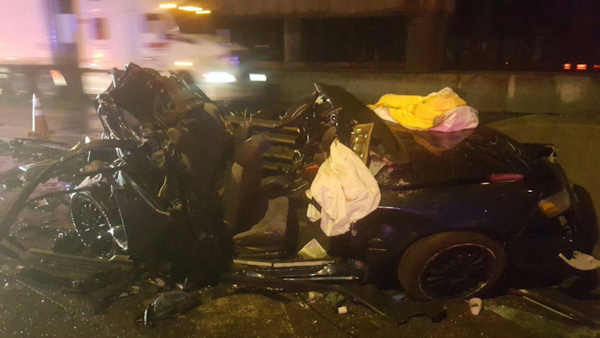 The vehicles collided at about 2 a.m. on the westbound expressway approaching the George Washington Bridge ramp, just east of the intersection of Amsterdam Avenue and West 180th Street. A 25-year-old man in the car, identified as Caeser Contreras, was pronounced dead at the scene. Two women in the car, ages 28 and 39, were taken to Harlem Hospital. The two other men were taken to Harlem Hospital with non life-threatening injuries. The truck will be moved from Vince Lombardi Service Area, where Singh was located, to the Port Authority Police Station in Fort Lee. Singh will likely spend the night in New Jersey on the commercial driver DWI charge, awaiting possible extradition possible to New York, where further charges are possible. Drivers were diverted from accessing the George Washington Bridge lower level from the westbound Cross Bronx Expressway during the morning commute for the ongoing investigation.